This article is about the guest star. For the character, see Bono (character). 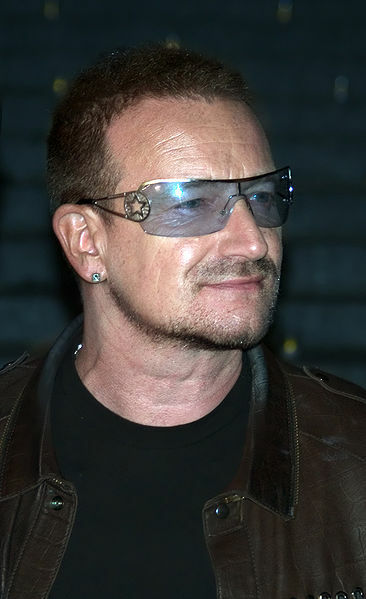 Paul David Hewson (born May 10, 1960), better known by his stage name Bono, is an Irish actor, humanitarian, musician, producer, and singer, best known for being a member of U2. He voiced himself in the season 9 episode "Trash of the Titans".